Concrete Parking Stops - Moyers Contracting, Inc.
Moyers Contracting has been manufacturing concrete parking stops for over twenty years. These are also called wheel stops, parking bumpers, bumpers, car stops, bumper blocks, concrete parking bumpers, and curb stops. Whatever name you prefer to call them, they are the concrete stops that are found in parking stalls. We sell several varieties: the most common is the six foot (long) curb (which is a MAG or Maricopa Association of Governments Spec) , we carry four foot, three foot and the very large truck curb. They vary in weight and size. The six foot parking bumpers are about 200 pounds and the truck curb are about 800 pounds. 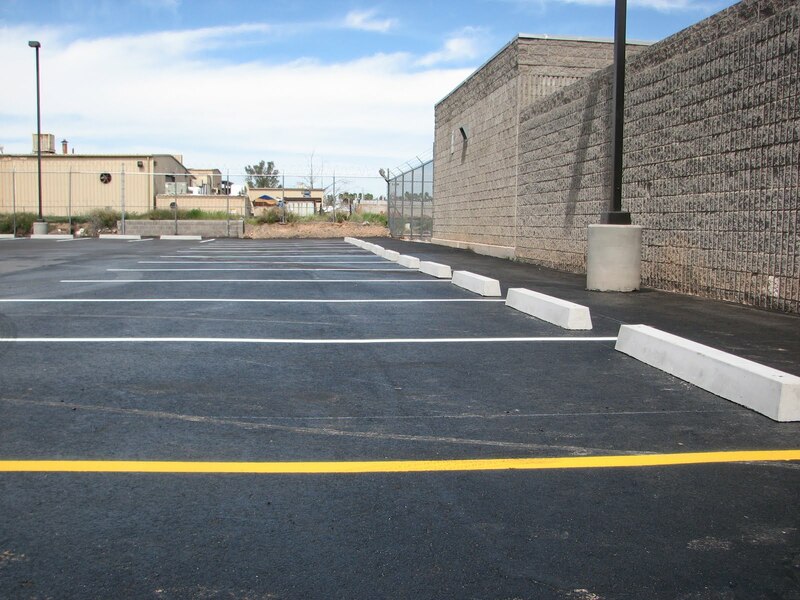 In addition to stopping cars, concrete parking stops can be used as a border for a decomposed granite parking lot or as a barrier to keep people from driving into a certain section of your property. 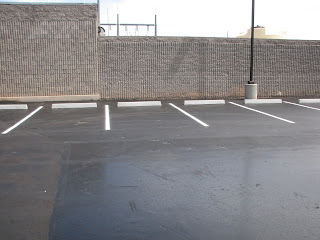 We can install parking bumpers on asphalt, concrete, gravel or decomposed granite. Moyers Contracting is the original source for concrete parking stops because we make them, transport them and install them. We can install parking bumpers on a job by job basis or we can deliver a load of 40 so that they can be used by you as needed and when needed. 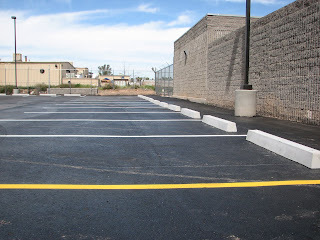 If you need parking lot concrete stops in Gilbert, Phoenix or anywhere in the state of Arizona, don’t hesitate to give us a call. 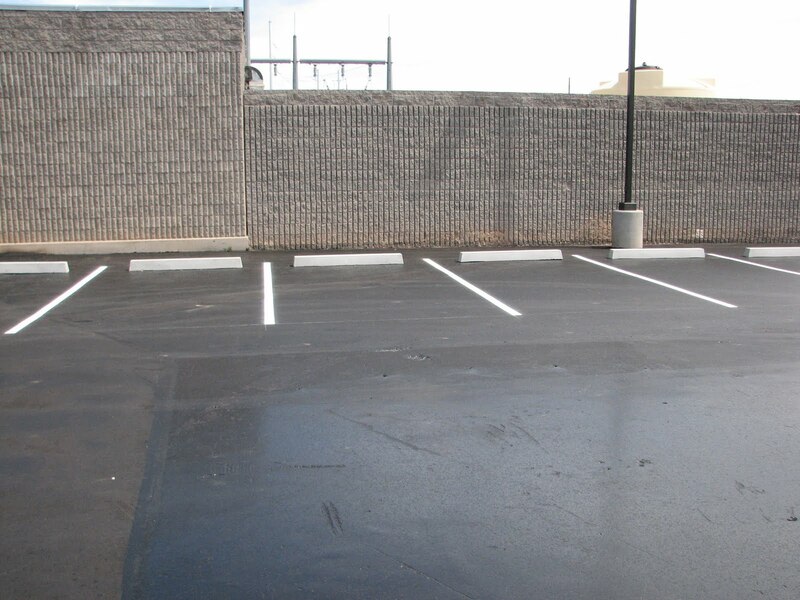 Don’t forget, in addition to having concrete parking stops for sale, and parking lot concrete stops, we also do all types of parking lot maintenance including parking lot striping, signs, stencils, barricades, red fire lane curb painting, fire lane signs, and custom welding and fabrication. Previous PostBasketball Court Striping and Straight LinesNext PostWhy Moyers Contracting?